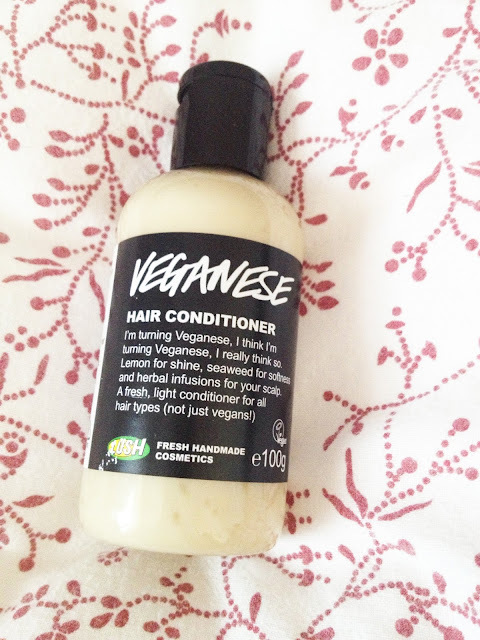 I've got a quick review today of the little bottle of Lush Veganese conditioner I bought to try the other week, see post here. I'd only ever used Lush's conditioner bars before and not their bottled ones so was really excited to try this, and the smell is amazing! 'Our lightest conditioner, suitable for use on all hair types. This so lovely and light, it's actually quite runny when you pour it out of the bottle so it's surprising how much of a difference it makes to hair! It's such a lovely smell, quite flowery and sweet. And it definitely does what it says, it doesn't weigh my hair down but leaves it with a lovely shine! 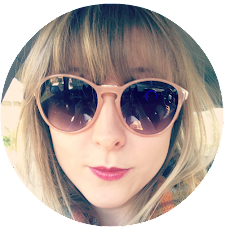 I've also found it works really well with the S factor heat defence I use to add a shine to my hair! The only thing I would say is that I use quite a lot of it every time and my hair isn't even that long, I don't think this little 100g bottle is going to last me much longer so it's not brilliant value for money. After this is all used up I'll probably go back to using my conditioner bar because that thing lasted me agggessss and was the same price as this! So I do really like this and if you need something that won't weigh your hair down, this is for you! And also it doesn't contain any lanolin so it's vegan! But for me, it has similar effects to my Jungle conditioner bar and that's a lot better value for money. Have you tried this conditioner? What did you think? Have you tried the lush conditioner bars? I've only ever tried the bath bombs and soaps from Lush before, never their hair products. All their stuff smells AMAZING. I've never tried any lush things, but this sounds amazing!